During EGX last weekend, I was pleasantly surprised to see a section of PlayStation’s booth dedicated to the upcoming game from Media Molecule, Dreams. 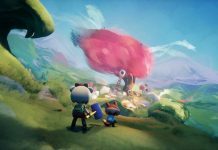 Much has been heard about the new game from the developer of Little Big Planet, but not much has been seen about it. Rather than being one cohesive game, Dreams provides the tools for players to create and share their own experiences. 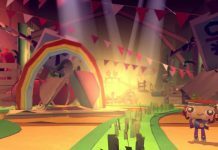 And so the demo on show at EGX 2018 was a collection of eight minigames, all very different, and all showing the potential scope of the creation tools that Dreams offers. Of the games on offer, I had time to try three. One was a very polished 3D platform experience, one was a very short but quirky platform game, and another was a text-based adventure game. I’ll start with the ‘main’ game, simply labelled ‘Mm Demo Content’ on the splash screen the EGX demo greeted me with. Putting you in control of a robot, it’s a very polished game about exploring an environment, collecting pick-ups, and releasing big bursts of energy in order to reach new areas. It’s the type of demo I can imagine being tied to a fully-fledged experience. 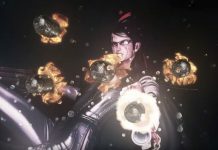 Whether we will see more of this particular game in the final release of Dreams remains to be seen, but it certainly had the hallmark of everything you’d expect to find in a triple-A platforming game. The next game I played was Given Time, which was without a doubt the most interesting – despite being the most technically basic – of the trio. A text adventure about a young person arriving at a house party, Given Time instantly drew me in with its narrative. Its descriptions of a fairly introverted character trying to have fun at a party instantly resonated with me. And while I’d have enjoyed that very grounded narrative enough, it wasn’t long before themes of supernatural were thrown into the mix. Wandering into the attic – which probably isn’t advisable at any house party, to be fair – I found myself face-to-face with a mysterious beast. Before I knew what was happening, I was back outside the party, like nothing had happened. Bizarre. Wary that I was spending too much time hogging the demo machine, I didn’t finish Given Time, but I adored what I tried. Like a text-based Groundhog Day adventure, it presented me with a mission to solve the weird time loop I’d found myself in and to rid the attic of its monster. 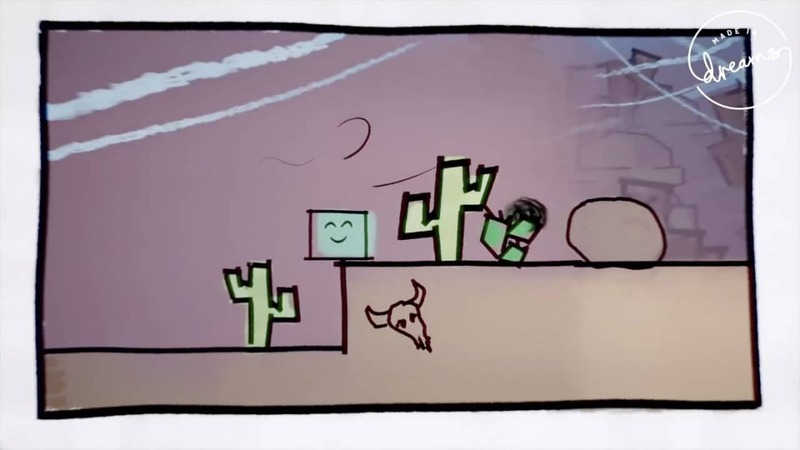 The final game I tried was a very cute platformer called Comic Sands. 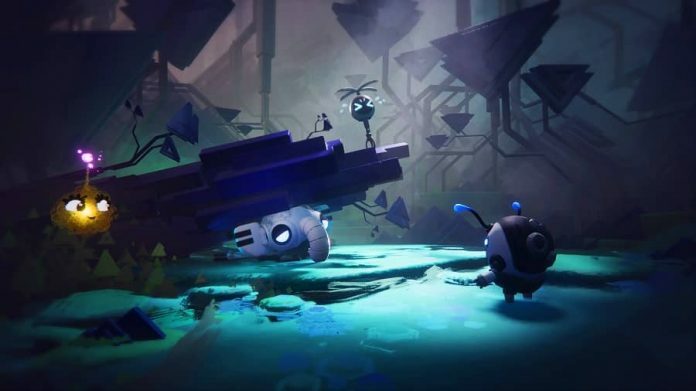 It was only a few minutes long, but as it turns out, it was created by a few members of the Media Molecule team during ‘Train Jam’ – a 52-hour train journey to GDC earlier this year. Okay, a 52-hour train journey sounds gruelling, but to create a fully functional game in that time is mightily impressive. Its title being a play on words of the world’s worst font was enough to draw me in, but Comic Sands‘ beautiful presentation with felt-tip graphics and comic book-style squares really brought the game to life. Despite being only a few minutes long, it was packed with charm and personality. It’s the sheer breadth of genre and style on show in Dreams’ showcase which is really impressive. But even though I’ve had hands-on time with the game, it’s still hard to imagine how the whole experience will feel when it’s finished. We know Dreams‘ main feature is the ability to create your own games – but not everybody is a budding games developer. Some people will just want to sit down and enjoy a variety of unique and interesting games. And that’s my main hope for Dreams, really. 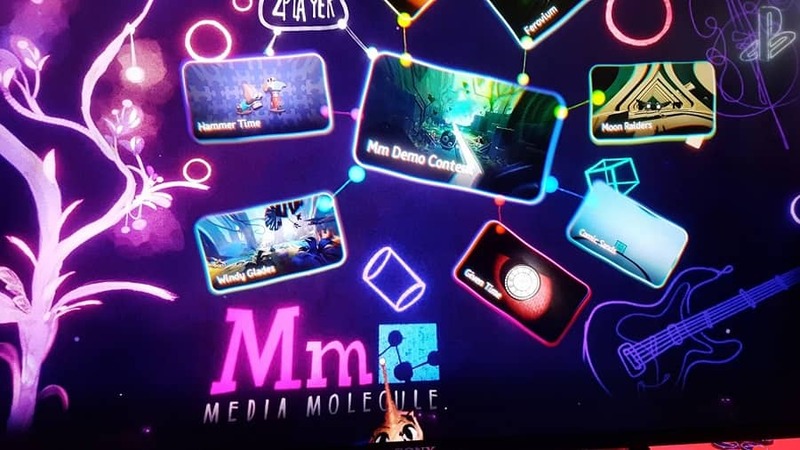 It seems like Media Molecule will be including a number of more sizeable experiences in the finished product, but I also hope there’s a wide variety of high-quality games like those on show here in the demo. The ability to play other user-created games is promising, but I imagine anyone will be able to upload anything, so there won’t always be a guarantee of quality. Still, I’m more intrigued by Dreams than ever, and I’m looking forward to seeing more from Media Molecule in the months to come.